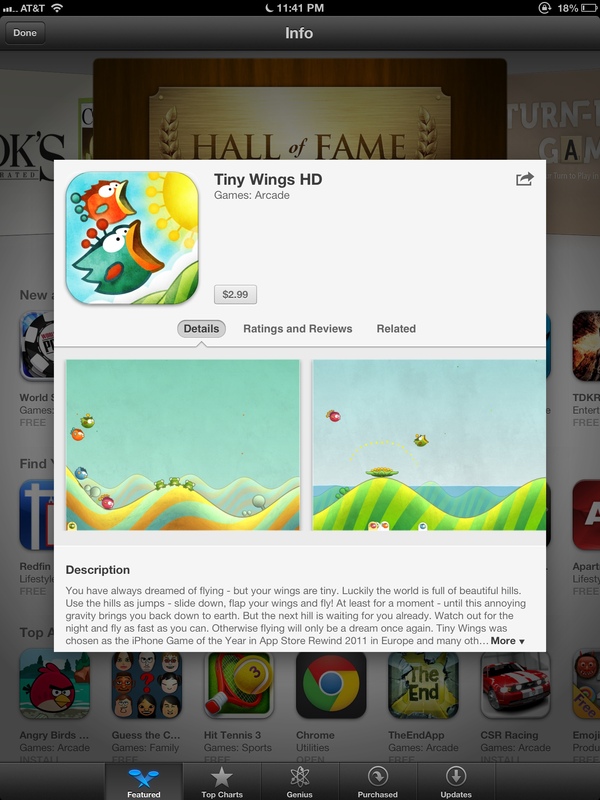 Tiny wings 2 has hit and so has the iPad app! Unfortunately it is a separate app and is $3 but it looks great with the retina iPad and has multiplayer on the same iPad. Hit up the download link! ‹ PreviousTiny Wings 2.0 is out now!